Unfortunately, the health care workers we rely on don’t always provide the proper care when treating sick or injured patients. However, this doesn’t mean that each of these cases will result in a lawsuit for malpractice. Often when people are not treated properly by someone in the healthcare profession, there is no basis for litigation. 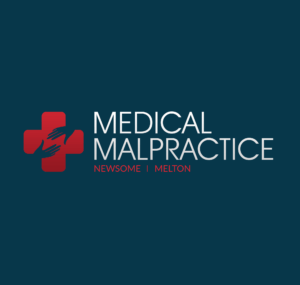 Even if a surgery has resulted in complications or the results are not what were expected, this doesn’t mean there are grounds to claim malpractice against the surgeon, the hospital, or anyone else involved. For a malpractice suit to be successful, the person suing must have sustained a serious injury that can be proven to be the fault of healthcare practitioners. In the legal profession an injury is defined as something wrong or harmful done by a certain individual to another person’s body, rights, property, or reputation. An illness is difficult to characterize as an injury since the negligence of a medical professional is not usually the cause of the illness. An example of this is a patient with cancer who does not receive chemotherapy. This patient cannot claim that he was injured because the doctor failed to provide the treatment, because it would be hard to prove definitively that the patient would have lived if he or she had received the chemotherapy. Another example is someone who has cancer but it is never diagnosed. To claim an injury, there must be proof that the missed diagnosis directly led to the injury and the cancer itself was not the cause. Expert witnesses usually testify for each side in a malpractice lawsuit, each giving their own opinion about the cause and type of injury. There are experts who do nothing but testify for defendants and others work only for the person who is suing. The jury is allowed to hear about how much time each witness spends testifying in such cases and how much, if anything, he or she is paid. If an expert earns a lot of money for an opinion, juries often become distrustful and consider the testimony less trustworthy. Everyone is familiar with the notion of what an injury is, but when it comes to medical malpractice it is not that simple. Every case is different with its own set of complicated facts about the presumed injury. Because of this, it is very important for someone pursuing a lawsuit to contact an experienced medical malpractice attorney. This is the best way to decide if there is an injury and if negligence by a medical professional caused it. These attorneys have experts in the medical field at their disposal who can conduct a thorough investigation into the potential case.